স্বতস্ফূর্ত. দেওয়ালপত্র made দ্বারা me... hope আপনি like it, please comment! :). 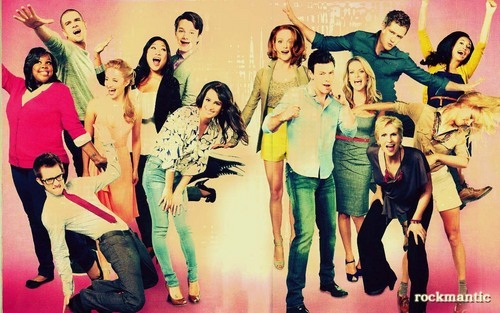 HD Wallpaper and background images in the স্বতস্ফূর্ত club tagged: glee cast season 1 2010. This স্বতস্ফূর্ত wallpaper contains নকল মানুষের, কমিক বই, কমিকস, and কার্টুন. I LOVE IT TOO!!! Please make some more! :) Great job! how do you make your own wallpapers becuase these are kinda awesome better then the ones i get from google !